Jewelry manufacturers, retailers and brands, looking for the complete solution for their eCommerce business. Valigara Online Jewelry Manager Reviews Recently Reviewed! Valigara is a game changer for any jewelry retailer. Pros: Valigara has basically taken multi channel selling and customized it for jewelry. It almost feels like they read our thoughts and custom made this software for us. I believe any jewelry retailer would feel the same. They implemented an exceptional import function, the ability to use custom fields. Sophisticated scheduling abilities which gives us a big competitive advantage on ebay. Sales and impression statistics which we did not have before on eBay. The system allows making changes a breeze , adding/removing products with a single click. Sorting and filtering of products by any field you can think of. Easy management of images, title generators. An incredible template engine for eBay and Etsy descriptions and so many more features. If you are a multi channel seller of anything jewelry related, you would be crazy using another system. Valigara saves you time, saves you money and helps you grow sales instantly. Cons: I think the UI can be more modern, it is a bit old fashioned. Too many fields due to so many supported channels can be overwhelming, I wish they would find a more organized way to present them. 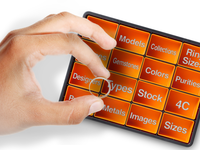 A dedicated mobile app can be useful to perform some functions and analyze data. Setting up multiple ebay accounts and other channels take time, I think that time can be shortened with some more automation. The ebay messaging feature could be improved and so can the order management but these are not core features of the system. I also wish they would support other products than jewelry for my other businesses. Overall: I managed to reduce product management staff to a single person. Managed to dominate ebay search results with advanced scheduling and also made the whole listing process much more friendly and fun which ultimately allows us to do more and thus sell more. It's a big honor to read these warm words from such an eBay expert as you. And it's a big honor to know our technology greatly serves even the most demanding requirements of top jewelry eCommerce professionals! I thank you for the in-depth analysis and recommendations. You know your remarks will be taken seriously, we will contact you asap to brainstorm what can work better for you. I am glad to use this opportunity to update you that Valigara mobile app was launched recently and is available both on Google Play market and ITunes! Thank you again and Enjoy selling! Amazing software specially designed for jewelry online sellers. Makes every step much more easier! Pros: If you are selling jewelry on multiple marketplaces, Valigara is perfect solution! 1) Creating and managing inventory is very well made. It supports Excel import/export if you already have prepared files, but recommendation is to work everything inside Valigara system as it is very well organized. Valigara team thought of every single step in managing inventory. Additional features like title, description, bullets, price generator will greatly save your time! 2) Easily integrate with most popular marketplaces like Amazon, eBay, Etsy, make schedules, revises, easily link listings, manage all marketplaces from one place. It also offers centralized order and messages management. 3) Support is great. They are very polite and always happy to help. Webinars are also on a regular basis. They keep everything updated. Each update on marketplace is promptly available on Valigara. Cons: One of the biggest advantages of Valigara is that it provides so many features, so many solutions, so many options. What might be the only con is that it might be too much for beginners who did not work in similar software earlier. There are so many features available and naturally, it needs some time to learn how it works. But once you learn how to use it properly, it will greatly save your time! Overall: Easy control of each marketplace: inventory sync, centralized order management, features that save your time. Overall: I have been into diamond jewelry online-sales for about 10 years. 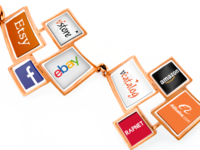 Considering multichannel sales on the marketplaces like eBay, Amazon and Etsy I have sequentially tried to use several multichannel platforms from the dullest to the most sophisticated ones. None of them could provide me with the functions I was so willing to get for my jewelry business: model-based inventory, gemstone-model combinations building for creating virtual products, automatic title and description builder for each SKU based on the gemstone, metal purity etc. I was recommended to have a look at Valigara as a last resort by my old mate from the Israeli Diamond Exchange. And here I am right now with 4 jewelry shops on different online marketplaces. With almost no expenses to manage them on the go. Up to this day Valigara is the only multichannel marketing platform that fits the needs of jewelry industry. Though it is a little tough to understand all the features in it, it is worth every penny. The support is also nice. Thank you for such a great review and warm words! We at Valigara believe that the eCommerce platform should reflect the understanding of the industry it is helping. This is why we concentrate on the jewelry and diamonds industry only. Being the only tool for jewelers and diamond sellers, we strive to top-level solution with no compromises, and we never miss the "small details". 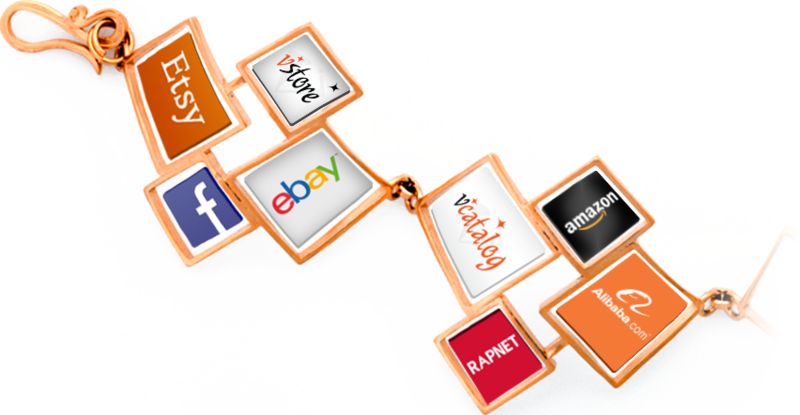 This requires an learning effort at the beginning, as we accumulate in our platform the knowledge of many top jewelry sellers on eBay, Amazon, Etsy and other... But this is exactly what we want you to be, isn't it? And you as our customer know we always do our best to explain, support, and do more to take you to the next level of eCommerce understanding and performance. Wishing you to take your jewelry eCommerce to the next, professional level! Thank you! This software completely changed my business, for the better! Pros: This software is very dynamic and flexible, so you can easily adapt it to your requirements. It also updated frequently to stay ahead of the market. Cons: For some reason, I ran into some compatibility problems using this software on my home macbook laptop. I don't know if it's because of Safari or my Wi-Fi there are some sections that work as slow as hell in my home. We appreciate much you mentioning the frequent updates in our system. We do our best to stay updated with all marketplaces and sales channels. This is not an easy task as eCommerce world changes quickly. This is why we select to upload updates EVERY WEEK! Thank you for your feedback on compatibility. We make sure our platform runs smoothly on all browsers and operation systems. The good think is that it will take just 1 week to check, improve and upload! And of course you always have an open line with us, 24/7! Also Valigara team constantly makes changes and improvements to their system, making it better and better over time. it takes time to learn the system. having all the orders in one place. We are very proud to have such a professional eTailer as you in our clients, for so many years! We do our best to keep our system as professional as possible. We know Valigara serves jewelry businesses for many years and know that the learning time pays itself off, making your work effective and giving you strong comparative advantage via your competitors. And we keep working daily to make the system be at the right balance of being whole and being simple! Pros: - feature rich: more features than you can imagine and any feature you can come up with they will implement. Cons: - price: even though it's worth every penny it can still be a lot of money if you have many products. Overall: Must have for any jeweler trying to manage inventory across multiple channels. Thank your for such a positive review! We thank you for being our customer, and glad to know you enjoy working with us. In our opinion, superior service and constant learning from our clients are the only way to be professional and provide results. We are lucky to work with the most professional jewelry etailers in the world, and we definitely don't want to miss this opportunity to do things better. Valigara is a professional level system, and is concentrated on providing the ultimate solution, and not on being cheap. Our pricing starts with $199 only, which allows jewelers to adopt Valigara early and start correctly from the beginning. We are sure the system returns the investment very quickly, and I am glad to read you also see this value. Looking forward to take your business another step forward! Pros: I am able to manage the most important external platforms through their back office & The ability to tailor made my unique consumer experience at my website. Even that the review title looks a bit over-laudatory :) , we indeed do our best to accomplish the jewellers' dreams about a solid, professional online system, which will empower their online business. We see our mission in taking the whole world of jewelry management software to the next level, and we are glad to see that our dream becomes a reality! Thank you, we are looking to serve you even better! You just need some time to learn it. Thank you for the warm words! It's a great honor for us to work with such a top-level jewelry eCommerce professionals like Leibish&Co. Thank you for setting the high standards and requirements which drive Valigara further! Service is with no doubt our focus. Valigara does require learning, as every professional-level product, and I'm glad you know you can always relay on our service to help you make best of it. We believe, professional level product like Valigara can't come alone, w/o constant support, to make our clients make the best of it. Only the perfection of the 2 - the product and the service - can work. excellent software, excellent service, excellent people!! Pros: its a very smart sistem and easy to work with, the people who build this sistem thought about everything. Cons: easy to work with and to manage your stock in few channels, save a lot of time and make everything simple. Our main goal at Valigara is to create a complete solution, adjusted to your business needs. And not an opposite. We always focus on keeping Valigara focused, relevant, clear and professional. We see eCommerce as the organic part of every jewelry business. We believe Valigara should give precise and professional solution for each step of operation. From the basic online jewelry catalog and inventory management, to sales channels management, orders and clients handling, wholesale and retail, and to in-depth analytics and optimization. And most important - we do it only by listening to our clients, jewelry and diamond businesses.